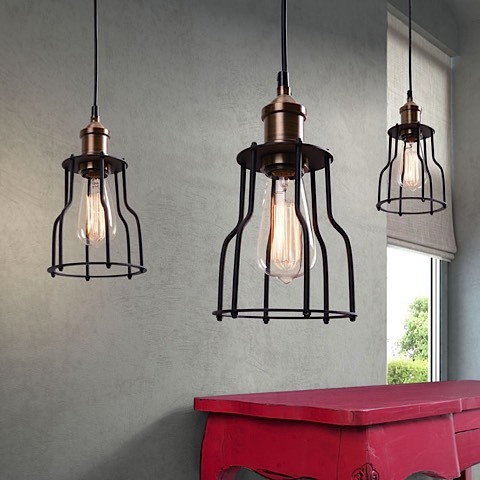 For Alcatraz Island chic, try the Aragonite Ceiling Lamp. 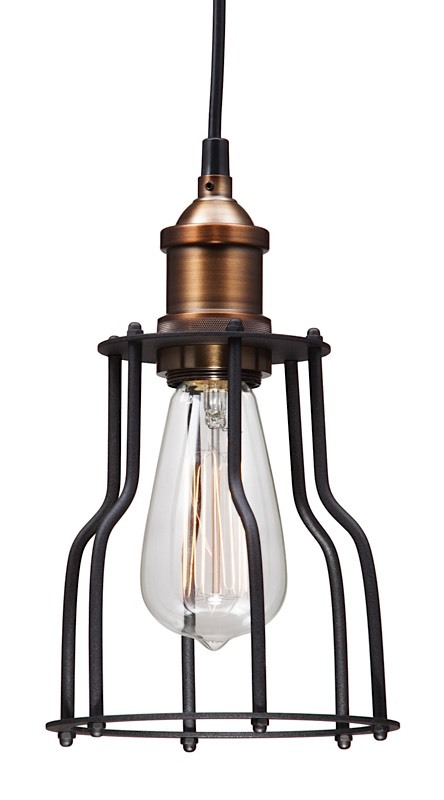 A hanging black and copper cage encloses a sleekly voluptuous 40 watt bulb. Hang it over a craft table or a breakfast nook and be glad you're not on the inside. 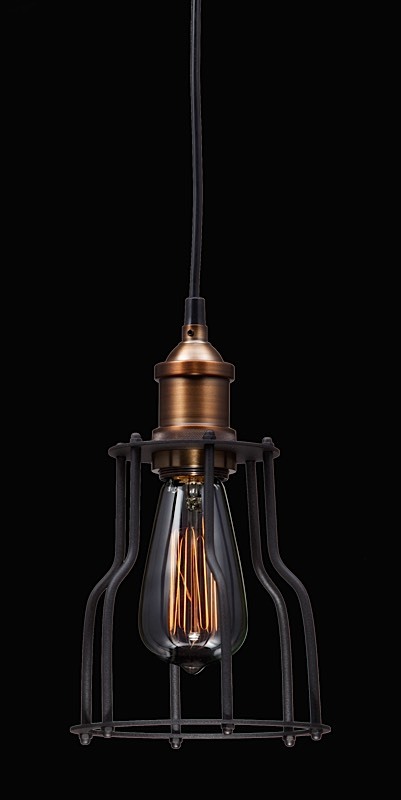 Aragonite requires one (1) 40 watt max Type S bulb with an E26 socket size which is included with the lamp. The length of the cord is 118". 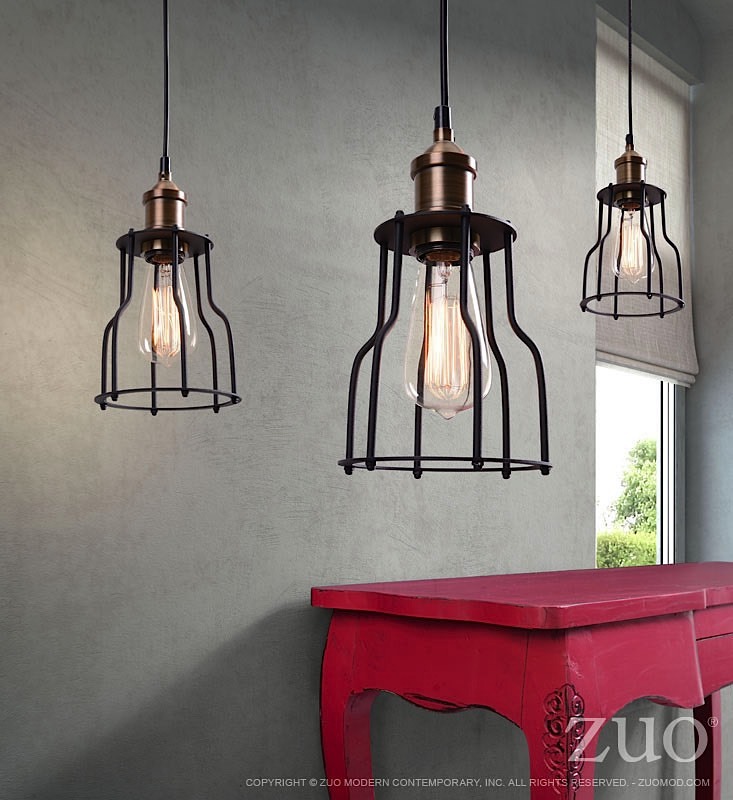 It should be noted that 3 lamps are shown in the primary image but the lamps are sold separately!